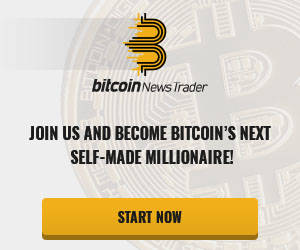 TradeLTD is an excellent choice for both beginners and experienced traders when they are in search of a trustworthy and reliable platform. When you decide to enter the trading world, you have to choose a trading platform from where you can get started. There are a ton of such platforms that you will find nowadays, but there have also been stories about scams conducted by them. Therefore, people prefer to opt for regulated trading platforms that put a lot of emphasis on safety and security and cater to the needs of the traders in the best possible way. This is where you can decide to go with TradeLTD. This particular platform can provide you the secure and safe trading environment you are after and covers more than 120 assets across stocks, currencies, indices commodities, CFDs and cryptocurrencies. Since its establishment in 2010, TradeLTD has shown its willingness to provide its clients with ideal services. It should be noted that TradeLTD uses the MetaTrader4 platform as well as Mobile MT4 and web trader and this software is in full compliance with the regulations in the market. 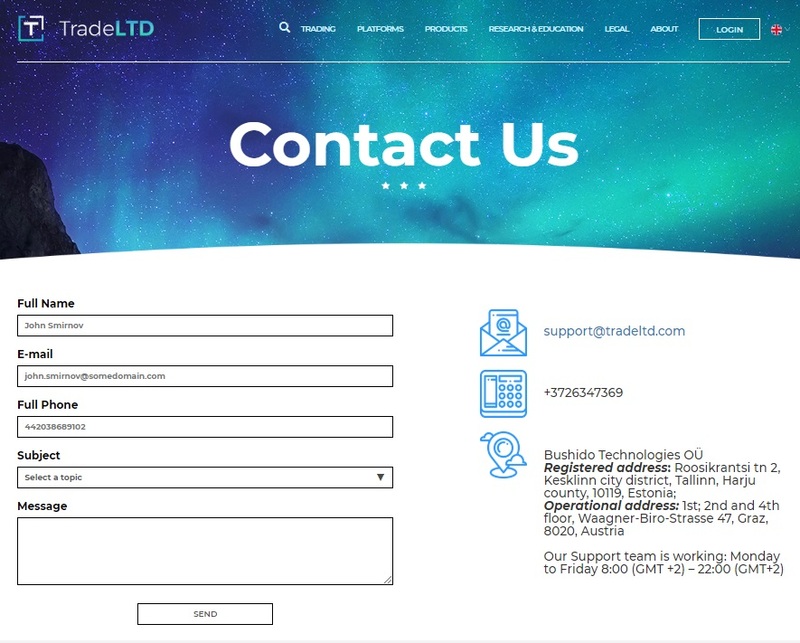 If you take a look at the TradeLTD website, you will realize that it boasts a very simple design and you can browse the various sections with just a few clicks. You are not required to scroll a lot because all the materials you require are accessible with ease and it also loads with ease, which means you don’t have to worry about unnecessary lagging. This account allows you to start trading cryptocurrencies, CFDs, foreign currencies, stocks, commodities and indices and the minimum deposit amount for it is USD 250. Signing up for this account gives traders access to technical reports and they can also make use of a personal account manager. Currencies like US dollar, Euro and Great Britain Pound can be used and the maximum leverage available is 1/200. The leverage is the same for this account type, but the minimum deposit is increased to USD 5,000. It offers the same services as you get in a standard account, but there are some extra features that traders get to use when they opt for a Premium Account. Firstly, it involves a rebate program and traders are also provided with one-on-one training to help them in making the right decisions. 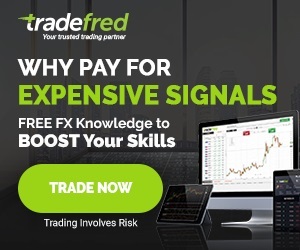 They can also use trading signals when they sign up for this particular account. As the name indicates, this is a special account and usually chosen by the most professional traders. This is primarily due to the fact that it has a high minimum deposit of USD 10,000 and new traders are not very likely to invest this much. The leverage is still 1/200 and the minimum lot size is also 10k/lot. The features of other accounts are also available with this one, but it also has the added benefit of express withdrawals. You can choose an account as per your preference and get started with trading. There is no need to worry when you are disclosing sensitive personal and financial information on TradeLTD. This is because the platform implements strict SSL protocols for protecting the data they accumulate. Some important identification documents may be required for verification and protection of traders’ identity. Plus, their funds are stored in segregated accounts to avoid any problems that might occur in the long run. The website has the necessary HTTPS web certificates, which encrypts all communication between the website and browser. 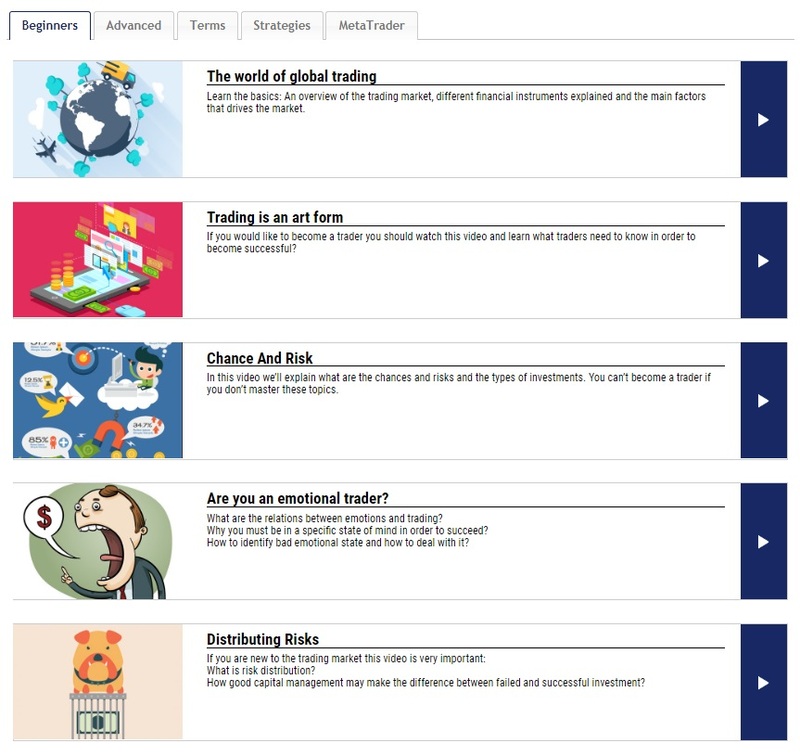 Apart from these features, TradeLTD also provides its users with educational materials to help them get acquainted with the trading world. Investors can find very useful information pertaining to the basics of forex, technical analysis, trading ethics, risk and capital management as well as trading tips. Traders can find all this in the form of online reading materials and interesting videos and the knowledge has been presented in easy language so everyone can understand without hassle. One more noticeable perk of TradeLTD is that funding your account doesn’t require any complex procedures. As a matter of fact, the platform enables fast, seamless and secure deposits. There is a wide array of options that can be used by traders for funding their account. Some common payment methods that can be used are credit and debit cards, wire transfers and MasterCard and Visa. Credit or debit cards are great when you want to make instant deposits because wire transfers take some time to be processed. As far as withdrawal is concerned, it is also quick, but a withdrawal fee has to be paid, depending on the amount. The trading software used by TradeLTD has also simplified a lot of complicated procedures, but a major benefit is that it allows traders to conduct their transactions from anywhere. They can choose to use the web version when they have access to a computer or laptop. However, if they want to make some trades while on the go, they can also use their smartphones for accessing TradeLTD and their location is irrelevant. Last, but definitely not the least, the customer support service you get at TradeLTD is also worth talking about. You can reach their customer service agents 24/5 and through several methods including phone, live chat and email. You can also use the online Contact Form for leaving them a message if there is a problem with their live chat or you are facing a serious issue. Hence, the way this platform has been designed proves that it wants its traders to enjoy a hassle-free experience during their trading activities. 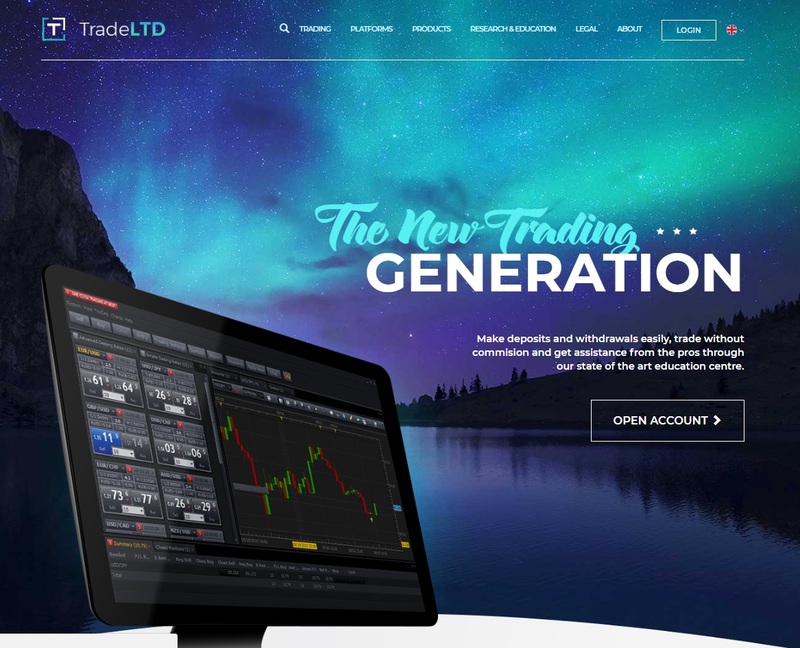 TradeLTD is an excellent choice for both beginners and experienced traders when they are in search of a trustworthy and reliable platform.